Linda Crampton enjoys taking photographs and using digital editing software. She also enjoys visiting art galleries and viewing sculptures. Solving jigsaw puzzles is a fun and often challenging activity that is experiencing a resurgence in popularity. It's a great hobby for adults or children and for individuals or groups. 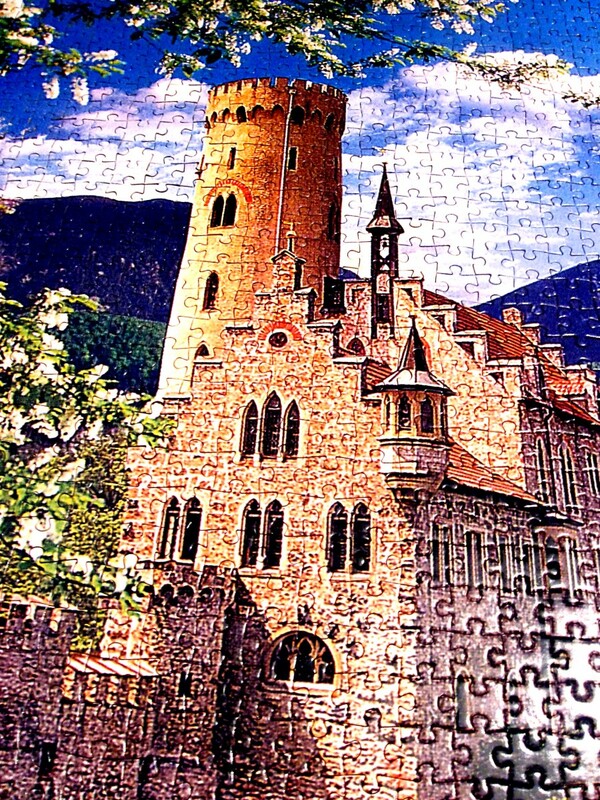 In addition to being an enjoyable and absorbing pastime, assembling jigsaw puzzles can have psychological, social, and sometimes educational benefits. Once a jigsaw puzzle is finished, it doesn't have to be dismantled. 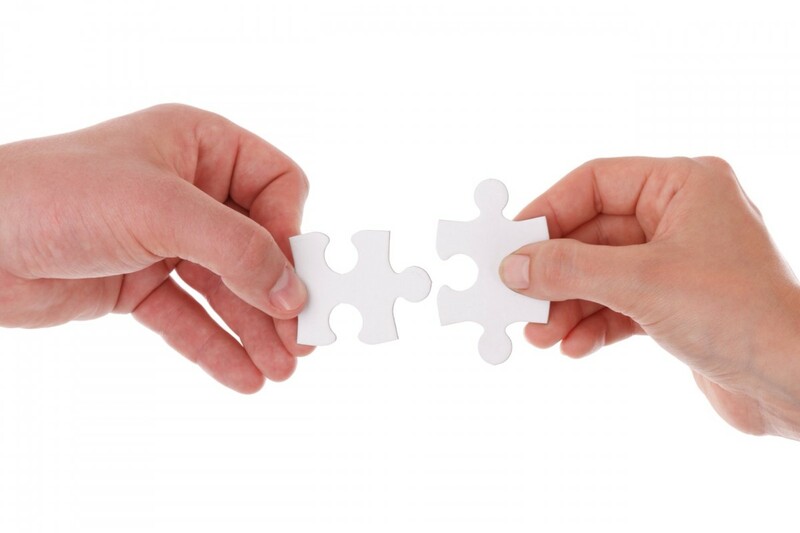 The puzzle pieces can easily be glued together and the puzzle preserved. It can then be either framed as a piece of art or used as a mat for desks, tables, and other surfaces. The jigsaw puzzle game is thought to have started in the eighteenth century. 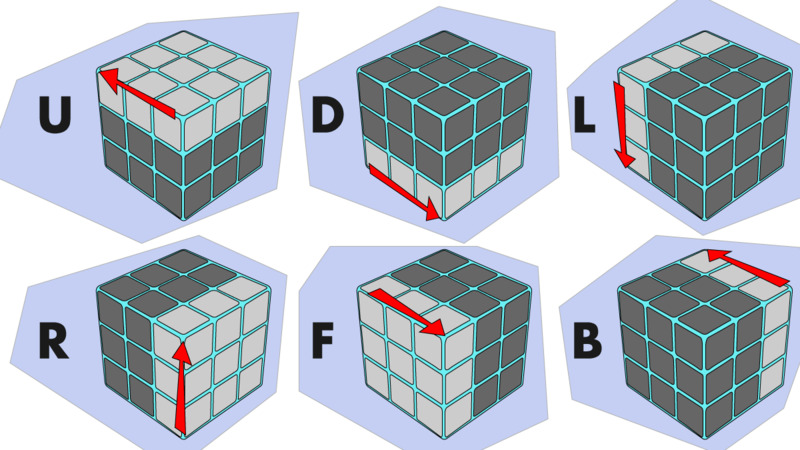 Modern innovators have created new types of puzzles, including ones with challenging twists, 3D puzzles, and ones that are solved on a computer. 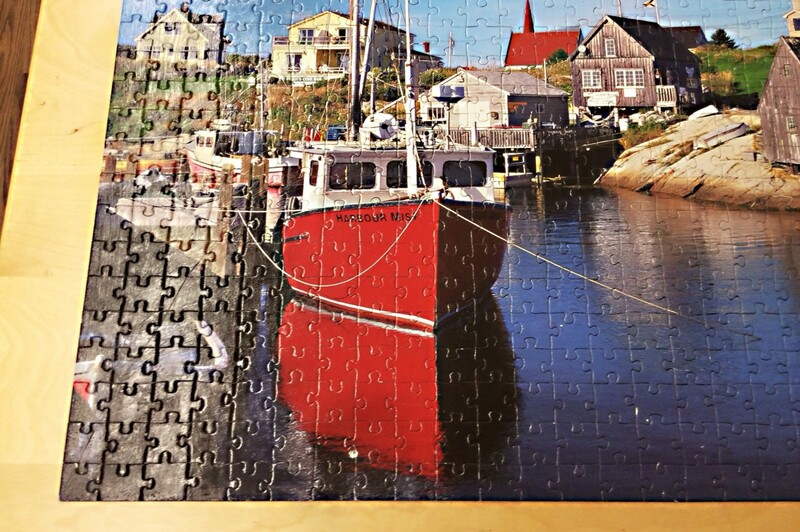 The basic idea behind the jigsaw puzzle is still the same, however—to create a picture by finding and joining pieces of wood, cardboard, or other material that each have a tiny portion of the image. Many jigsaw puzzles are mass produced on cardboard by big companies and sent to toy, department, and game stores. Some are made by artisan companies and individuals who create handmade puzzles for both adults and children. 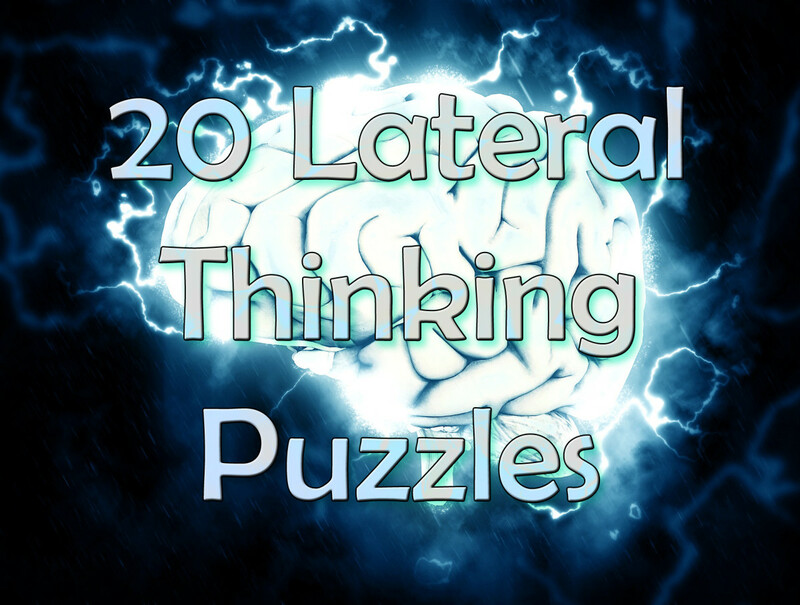 Many of these puzzles are produced on wood, just like those of the past. John Spilsbury is often said to be the inventor of the jigsaw puzzle, although he may have popularized the puzzle instead of being its creator. He was probably the first commercial seller of jigsaw puzzles. 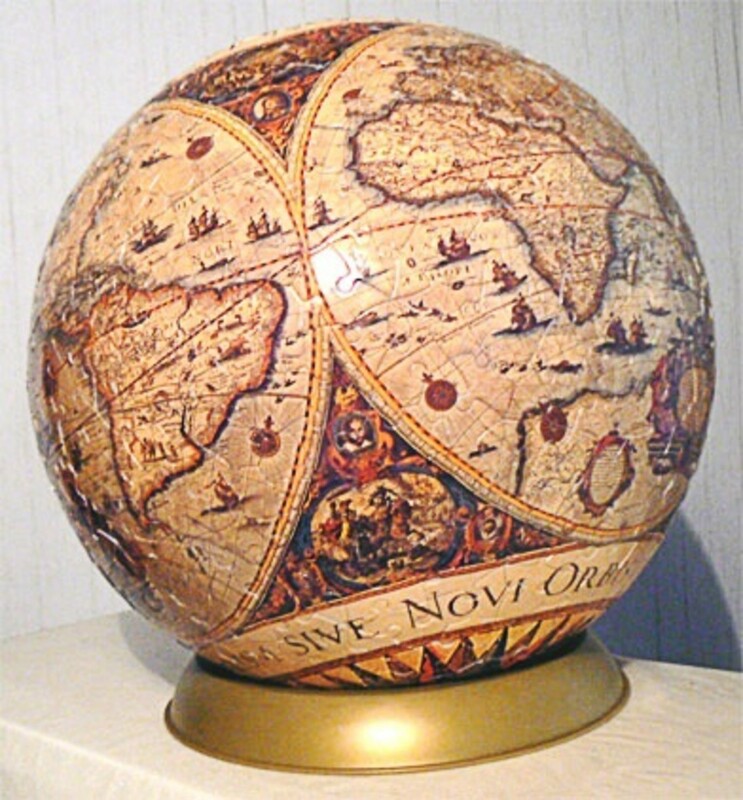 Spilsbury was an eighteenth century British mapmaker who decided to create a product to help children learn world geography. To make his puzzle, he glued one of his maps to a piece of wood and then sawed the wood into pieces. He's thought to have used a handheld fret saw to cut the wood. Children had to join the wood pieces in the correct arrangement to reform the map. Spilsbury's puzzles were known as dissections and first appeared around 1760. Unlike the case in modern jigsaw puzzles, the pieces of a dissection weren't interlocking, so they separated easily. The dissections were expensive and could only be afforded by wealthy families. The use of jigsaw puzzles gradually spread to other school subjects besides geography. At first, the puzzles were used only as educational tools for children. Around 1820, games for adults appeared. The games were expensive and weren't widely available, however. In the late 1800s, the name "dissection" was replaced by "jigsaw", although according to the American Jigsaw Society—whose website unfortunately no longer exists—the puzzles were cut by a fret saw, not a jigsaw. 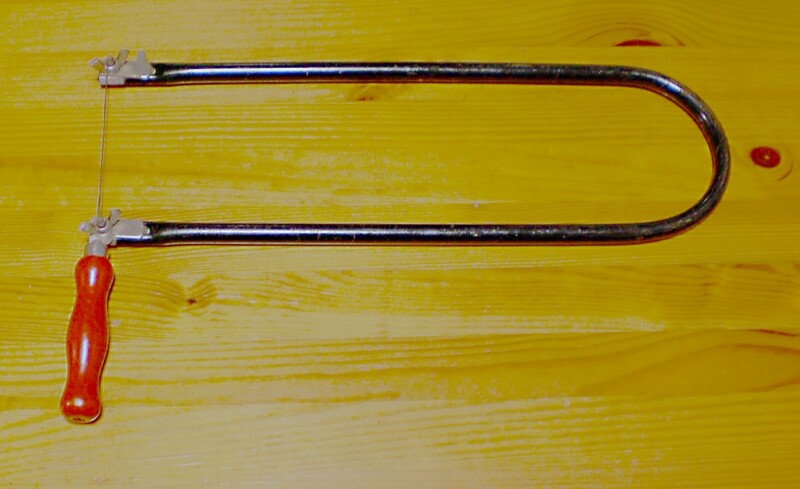 The development of the treadle fret saw was a great help to puzzle creators. Today's handmade wooden puzzles are usually made by fret saws, too. The modern tools are usually power tools, however. Powered fret saws (or fretsaws) are sometimes called scroll saws (or scrollsaws). Another significant development in the late 1800s was the appearance of the first cardboard jigsaw puzzles. Most manufacturers at this time preferred to create wood puzzles, which they could sell for a higher price. Jigsaw puzzles for adults started to become popular around 1900 and became especially so during the Great Depression. Free cardboard puzzles were given away with purchased products, such as toothbrushes. In addition, a weekly puzzle was sold to the public and became very popular. It may sound strange that people would spend money on a jigsaw puzzle during the financial hardship that existed during the Depression. The puzzles were bought because they provided a cheap source of entertainment during a very difficult time. A wide range of jigsaw puzzles are available today. Some are made in large quantities by big companies while others are made in smaller quantities by artisans. Mass produced puzzles are readily available in stores. These puzzles are die cut. The "die" is a piece of metal that acts like a stamp or press and is used to cut specific shapes from a material. Some people prefer to buy handmade puzzles from artisans. Although it's not always the case, in general the greatest advances in puzzle development come from craftspeople. Many artisan puzzles are made of wood. This used to make the puzzles very expensive, but new techniques have reduced the price. One of these new techniques is to cut the wood with a high speed jet of water that is under very high pressure. Another is to use a laser beam to cut the puzzle shapes. Artisans are responding to the increased interest in jigsaw puzzles by creating innovative games with challenging features. One of these features is the existence of several solutions to a puzzle, with some puzzle pieces fitting into more than one space. Only one of the solutions is considered to be correct. Another trick is the inclusion of a corner piece that fits into the middle of a puzzle. The artisan may also cut the pieces right on the line where a color changes, so a person can't use the mixed colors on a puzzle piece to help them place the piece. Most jigsaw puzzles have a copy of the picture used to create the puzzle on the front of the product box. 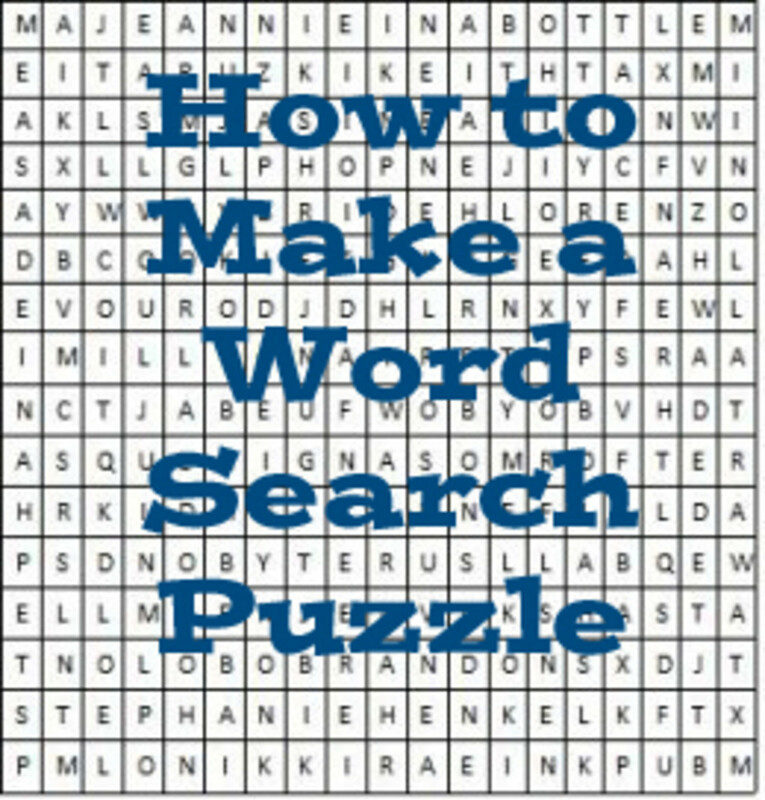 This attracts the attention of potential customers and can be used as a guide as the puzzle is solved. Some artisans don't provide a picture of the finished puzzle in order to increase the challenge of the game. According to one puzzle maker, high quality or very desirable jigsaw puzzles that are still in their boxes can appreciate in value, but assembled ones won't. 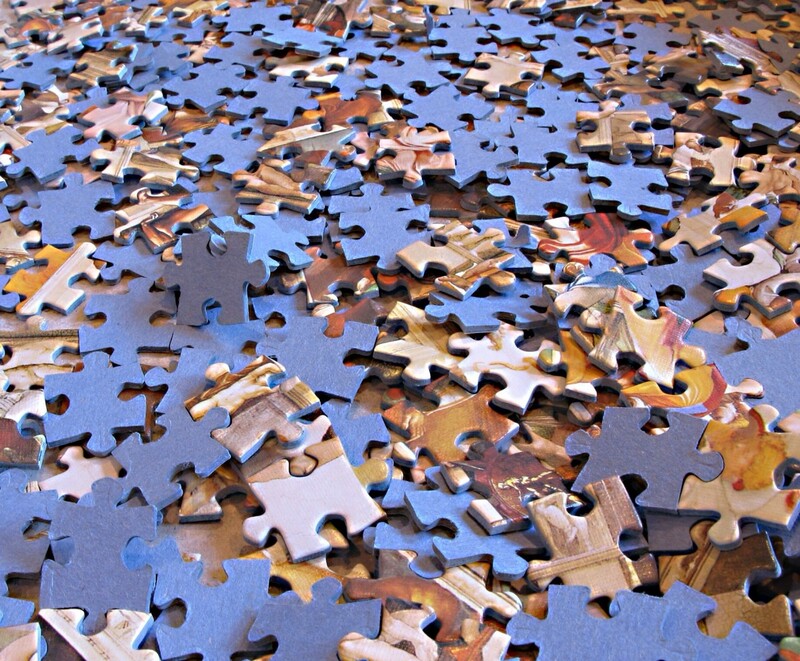 Some companies will create a jigsaw puzzle from a customer's photo. This type of puzzle can be a great gift for a friend or relative. It's also possible for a person to create a jigsaw puzzle at home. Downloadable templates are available on the web. These templates can be used with either wood or cardboard. 3D jigsaw puzzles are actually a type of sculpture. The medium for the sculpture is interlocked puzzle pieces. These pieces may or may not have the shape of traditional jigsaw puzzle pieces. In this digital age, it's not surprising that puzzles that can be solved online have been created. In addition, puzzle programs and apps can be downloaded. A digital puzzle is certainly easier to keep tidy than one sprawled over a table, but for many enthusiasts, it's not a suitable substitute for a regular jigsaw puzzle. People who solve wooden puzzles say that part of the joy of the game is the tactile sensation experienced when handling the pieces. Conventional puzzles also encourage more social interaction than digital ones. I've heard of one jigsaw puzzle that becomes a game board once it's completed, giving it a dual function. Puzzles vary widely in size. The number and size of puzzle pieces that are suitable for a child depend on a variety of factors, including the child's manual dexterity and attention span. 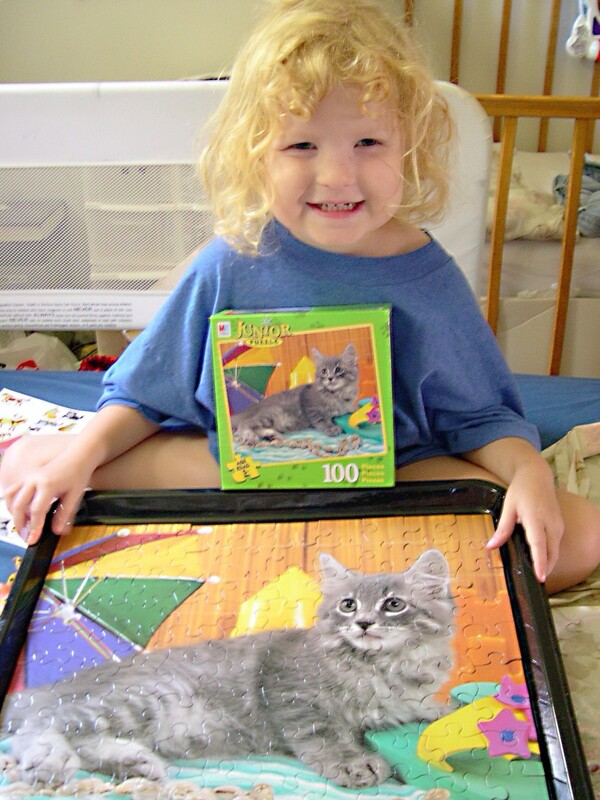 Another factor involved in the choice of a jigsaw puzzle is the child's interest in the picture that's being created. The recommendations for number of puzzle pieces given by many manufacturers are shown in the table below. The recommendations work for most children, but not for all of them. Some young children can deal with a puzzle containing more pieces than the table indicates. According to Guinness World Records, the world's largest jigsaw puzzle in terms of number of pieces was created by students at the University of Economics of Ho Chi Minh City in Vietnam. The puzzle was constructed on September 24th, 2011. It consisted of 551,232 pieces and measured 48 feet 8.64 inches by 76 feet 1.38 inches. The Guinness World Records website states that the world's largest commercial jigsaw puzzle consists of 40,320 pieces. It was created by Ravensburger and has the name "Memorable Disney Moments". The price of jigsaw puzzles ranges from inexpensive to very, very expensive. Stave Puzzles produces handcrafted wooden puzzles, some of which cost thousands of dollars. In 1993 they created a Guinness World Record with a $15,000 jigsaw puzzle. Some people admire a completed jigsaw puzzle for a while and then dismantle the puzzle and put the pieces back in their box. There are other things that can be done with finished jigsaw puzzles, however. The puzzles can be both decorative and useful. The first step in saving and using a jigsaw puzzle is to spread puzzle glue over the surface. This glue is available in craft stores. The adhesive sticks the pieces together and dries to a transparent and protective finish. The puzzle can then be framed and used as a piece of art or placed on a surface such as a desk and used as a mat (provided it's treated reasonably gently and no liquids are placed on it). There is another possible use for a jigsaw puzzle, but it means that the puzzle can never be solved again. The puzzle pieces can be used to make interesting and unique jewelry, such as necklaces and bracelets, as described in the video below. This is a great way to use puzzles that have lost some of their pieces and can't be solved. If your home is becoming overwhelmed with framed puzzles and puzzle mats, consider passing the jigsaw puzzle joy on. Pictures and mats could be given as gifts. Unglued puzzles could be disassembled and then given to someone else to solve. 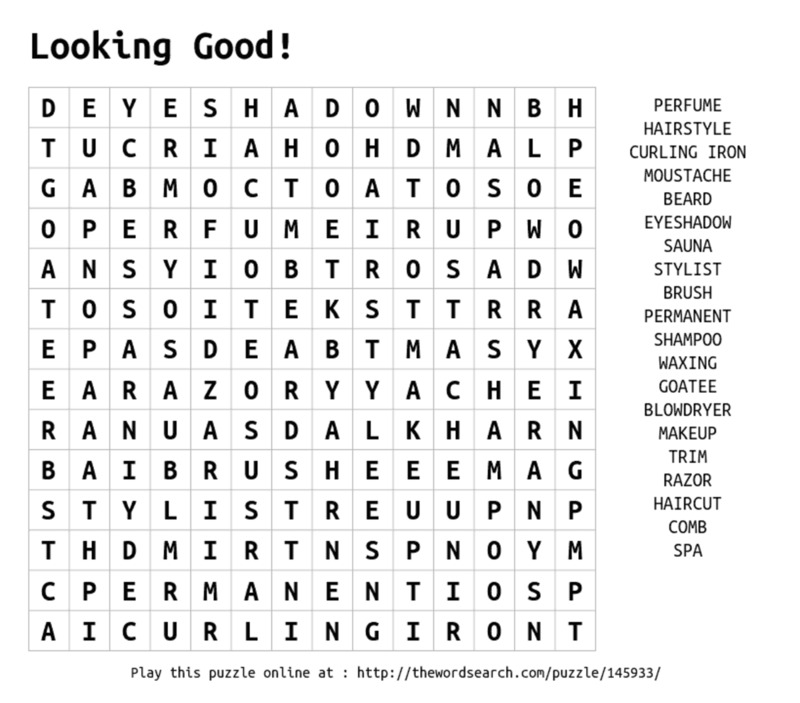 Friends or relatives may appreciate the puzzle, and so may seniors centers, care homes, hospitals, and schools. Do you solve jigsaw puzzles? Yes, I solve lots of puzzles - I love them! I solve a jigsaw puzzle occasionally. No, I don't, but I'm hoping to try a puzzle soon. No, I doubt that I'll be solving a jigsaw puzzle anytime soon. Solving a jigsaw puzzle can be a very enjoyable activity for either an individual or a group. Most puzzles can't be finished in one session, but that's part of their fun. 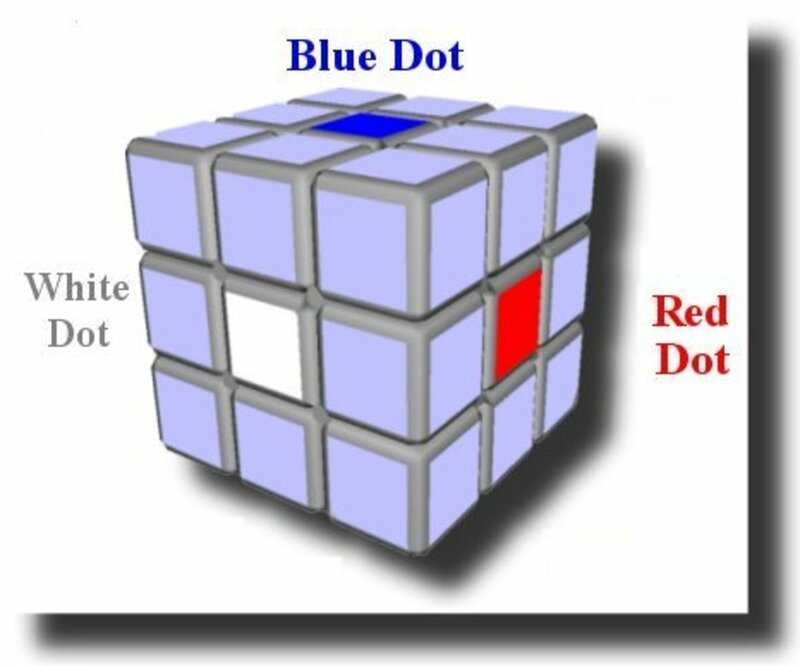 Provided there's a place to leave a partly completed puzzle, a person can return to solve more of the puzzle at any time. It can be interesting and satisfying to watch the picture grow. Some people find that working on a jigsaw puzzle is a great way to relieve stress and temporarily forget about problems. The puzzle may be challenging, but it's comforting to know that it does have a solution. That being said, though, in 1989 Stave Puzzles released an April Fool's puzzle that had no solution. The purchase money was refunded to the enraged customers. 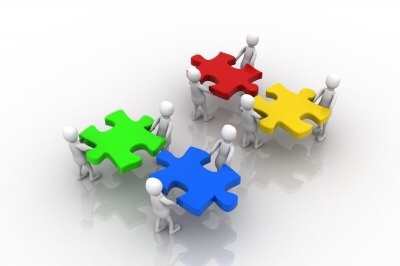 Solving jigsaw puzzles can be a social activity that involves a group solution. Working as a group allows for conversation about other topics besides puzzles and can be a good way for people to have fun with friends. In addition, the puzzles may add interest to the lives of people who live mainly indoors due to an infirmity. Jigsaw puzzles may also be educational for children. For example, the picture that they create may teach them about a country, a habitat, or the solar system. Assembling a jigsaw puzzle may build their confidence, whether they work alone or with another person. Children may also learn to be patient in reaching a goal and may experience the satisfaction of a job well done when they complete the puzzle. When children solve a puzzle with someone else they may learn to cooperate with others. 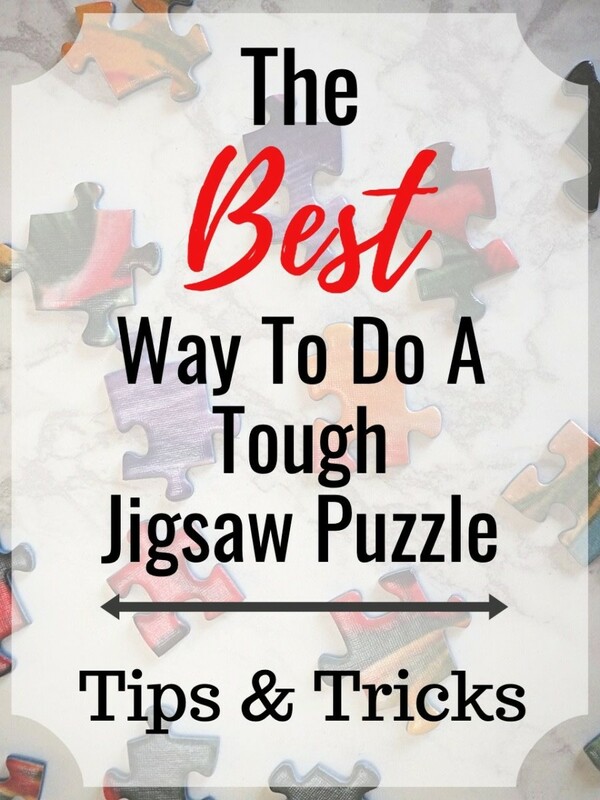 It might seem logical to assume that solving jigsaw puzzles promotes spatial and shape recognition, hand-eye coordination, fine motor skills, reasoning, and problem-solving ability, especially in children. The activity may indeed have these benefits. Not much research has been done in this area, however. Despite the enthusiastic claims made by some people, at the moment there seems to be little evidence demonstrating that the benefits exist. This situation may change if more research is performed. One of the claims on many sites that sell jigsaw puzzles is that a "MacArthur study"—which never seems to be referenced—demonstrated that solving jigsaw puzzles reduces the chance of developing dementia and increases lifespan. Another claim is that solving jigsaw puzzles increases the level of dopamine in the brain. These interesting and impressive ideas need supporting evidence in order to be taken seriously. Researchers do say that puzzles are helpful for maintaining our cognitive abilities as we age, but the research has generally been done with crossword puzzles instead of jigsaw puzzles. 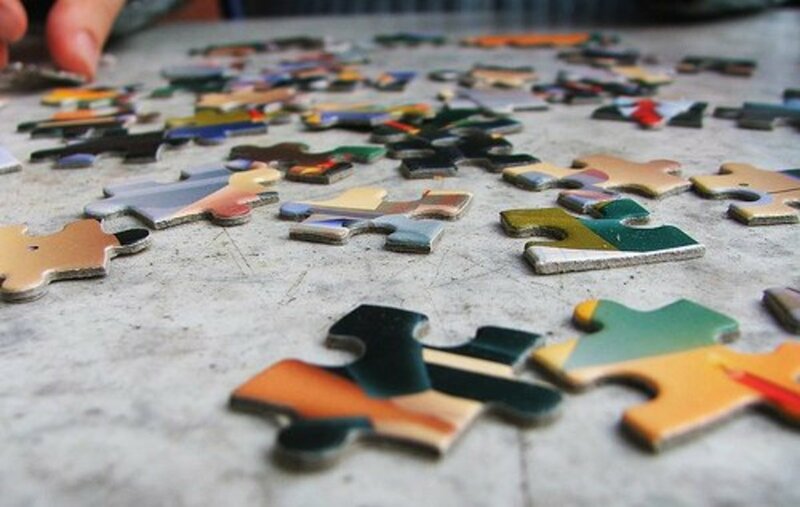 Even if solving jigsaw puzzles doesn't have a significant effect on our physical or mental abilities, it's still a very worthwhile activity for its potential psychological, social, and educational benefits. Best of all, it's fun. Thanks for the visit and the votes, adevwriting! I know that jigsaw puzzles are amazing to solve though I haven't done much of it. I enjoyed reading your hub. Voted up and interesting! Thank you for the comment and the vote, Kristen. I think that solving jigsaw puzzles is fun! Alicia, this was a fascinating read about the history of the jigsaw puzzle. Brings back memories that my mother loved to work on a puzzle in the good old day. Voted up for interesting! Hi, truthfornow. Yes, solving a jigsaw puzzle can be a great way to forget about problems for a while! Thanks for the comment. I enjoyed reading the history of the jigsaw puzzle. I like working them. It is very relaxing and takes your mind off all your troubles. Thanks for the visit, Dianna. Yes, solving a jigsaw puzzle is a good way for a family to come together and to interact. It can be a great social activity. I can't imagine putting together a jigsaw made from wood. Glad they are now different. I do love to put one together with family on occasion. It is such a great way to converse and have some good quality time. Hi, Deb. Yes, it is very nice to work on a jigsaw puzzle during a rainy day. It's a fun activity. Thanks for the comment. Nice article! I have been thinking recently about getting a jigsaw puzzle. It has been some time since I have done one, and is a great thing to do during inclement weather. Hi, Jodah. I understand about the cat situation, because there are three cats in my home! I have to keep puzzles away from them. Thanks for the comment and the vote. Thanks, Vellur. I appreciate the comment and the vote! Very interesting hub Alicia, I especially enjoyed reading about the history of the jigsaw puzzle. My wife and used to enjoy making jigsaws but having cats makes that difficult. More than once they have jumped into the middle of a half finished jigsaw and caused destruction, with us having to start all over. Now if we do a puzzle it is usually electronic on the computer so it won't be messed up. It isn't quite the same though. Voted up. Interesting and informative hub, I know so much about jigsaw puzzles after reading your hub. Voted up. That does sound like a good way to learn geography, Cynthia! I solved a lot of jigsaws when I was a child, but I don't remember solving them in school. Thank you very much for the comment. It's too bad that you lost your framed jigsaw puzzles, Martie. I've heard of other people who say that solving the puzzles is addictive! It can certainly be a very absorbing activity. Thanks for the visit and the comment. A very interesting and comprehensive article about jigsaw puzzles. Once I start to build one, my soul cannot rest before it is done. Highly addictive. The 3D's look like rewarding challenges. Hi, Bill. Yes, although some jigsaw puzzles haven't changed since I was a child, others definitely have! I've never tried to solve a 3D jigsaw puzzle. They look like they're fun. Thanks for the vote and share. Hi Linda. Gee, I haven't done a jigsaw puzzle in years. But I do have great memories of doing this as a kid. What I was not aware of was how far these puzzles have come over the years. The 3-D puzzles that look sculptures are amazing. I would love to give one of those a try. Great hub. Voted up, shared, etc. Thanks for the comment, DDE. Solving jigsaw puzzles can be very enjoyable. I hope you find time for this hobby again! I enjoy solving jigsaw puzzles it used to be one of my best pass time but have not done this in a while. I am so glad to have stopped by here to learn more about jigsaw puzzles interesting facts. Thanks, Room of My Own. I'm very lucky that I have a room which I can keep shut up when I have a puzzle in progress, because my cats are curious, too! You've made an excellent point about being able to get nice art through jigsaw puzzles. What a fun and detailed hub! I have a few jigsaw puzzles but since adopting a very curious cat, I've had a hard time doing them. LOL! (She'll sit on anything that you express even the slightest interest in.) I have a really nice puzzle of one of my favorite paintings by Marc Chagall. I think that is the only way I'll every be able to afford famous works of art! Thanks for the visit and the comment, Bill. Some people do find doing jigsaw puzzles relaxing. When I do one I find the process interesting rather than relaxing. I enjoy the challenge of completing the picture! Have a wonderful weekend, Bill. Oddly, I find I don't have the patience to do a jigsaw puzzle. I say oddly because normally I am a very patient human being. I always wished I did have it because it seems like a very relaxing pastime. Thanks for the historical facts, Alicia, and have a great weekend. Thank you very much for the comment, Faith! I enjoy solving jigsaw puzzles too, although I don't have as much time for them as I would like. Once I start a puzzle it takes me a long time to finish it. Assembling the puzzle is fun, though, even though I generally do it for short periods. I appreciate the votes and the share, Faith. I hope you have a great weekend as well. I have always loved solving jigsaw puzzles! It is very relaxing to me. I loved reading all about the fascinating history of the jigsaw puzzle. This is a splendid hub and I enjoyed the videos as well. I never really knew how to properly glue a jigsaw puzzle, so that video is helpful. Great hub! Up and more and sharing. That sounds like a good possibility, ologsinquito! Solving jigsaw puzzles is very low tech, but it could be a nice change from computer and electronic activities for some people. Thanks for the comment. That's interesting that this low-tech type of entertainment is experiencing a resurgence. Maybe it's the antidote to constant text messaging among teens.